AMS reported that underlying the potentially powerful appeal of new smart-lighting products is the substantial effect of the spectrum of light on human health and behavior. To explain this effect, it helps to understand a little about sunlight. That’s because sunlight is made up of a spectrum of electromagnetic radiation at various wavelengths in the approximate range of 400-750 nm. When separated—as in a rainbow—humans see radiation at each of these wavelengths as a different color. 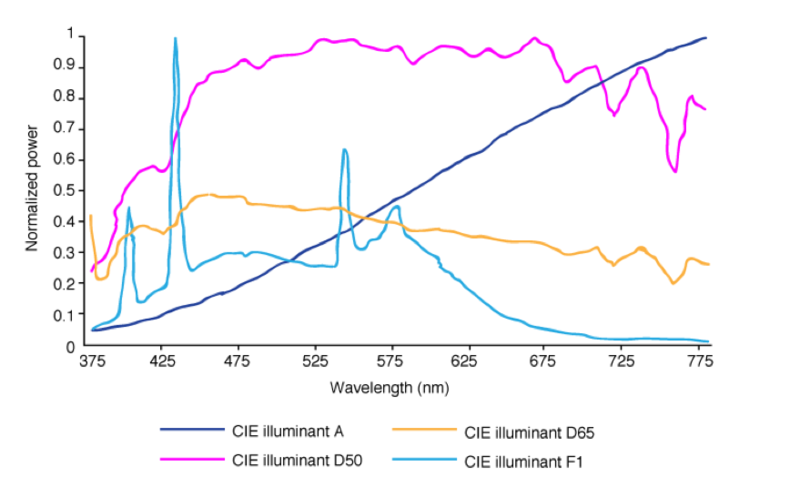 The previous figureshows how average human perception of the wavelengths of visible light is described by the industry’s standard CIE chromaticity diagram. In the sunlight that reaches the surface of the earth, the spectral power distribution is broadly based. But as Figure 2shows, this power distribution varies according to the prevailing conditions, and in particular, according to the time of day. Figure 2: Visible Wavelength Spectrum at Sea Level-Scattering of sunlight in the upper atmosphere and by cloud cover leads the blue wavelengths to dominate in daytime, as shown by the blue lines in the graph. ​During the main part of the day, the blue lines as shown in the last figure, the blue part of the spectrum between 450 and 500 nm dominates. Towards dusk, the yellow/red part of the spectrum comes to the fore. The human eye is very sensitive to this variation and can discern the minute differences in perceived color due to even very small changes in spectral power distribution of a light source. Nature has conditioned animals, including humans, to respond to this variation in the spectral content of natural light and it’s timing via both visual and non-visual detectors. One key cycle of this response is called the circadian rhythm, which regulates our daily pattern of wakefulness and activity followed by relaxation and rest. This response developed, of course, in the millennia before the invention of artificial light. In recent years, this has given rise to concerns that the spectral content of artificial lighting, which can be markedly different from that of natural light, might disturb people’s circadian rhythms. 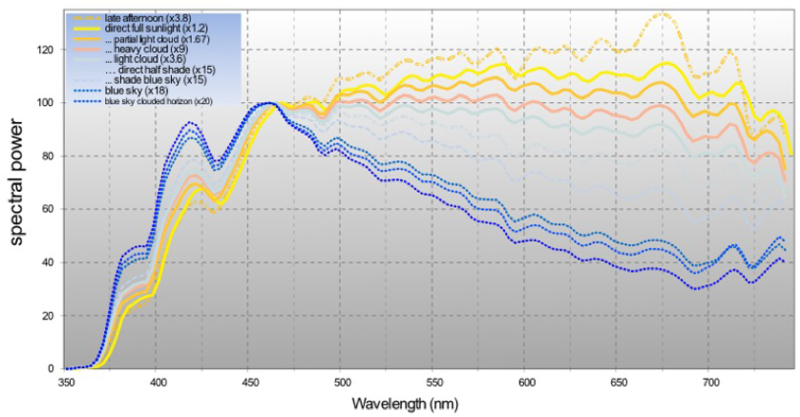 As Figure 3shows, for instance, the spectral content of fluorescent light deviates sharply from that of natural sunlight. Traditional incandescent light bulbs with a tungsten filament (illuminant A in the previous figure)provide a much broader spectral coverage than fluorescent tubes, but the common feature of these and other older light sources was that their spectral content could not readily be adjusted. Other than the warm/cool shift of a filament lamp, their light output was the same, no matter the circumstances of their use, and at any time of day or night. The output from LED lights, however, is readily controllable. “Tunable” white LED lights typically comprise two different sets of “white” LEDs: One set has a color at the bluer end of the white-light spectrum, with wavelengths of 450-500 nm having more relative influence; the other set are at the yellow/red end of the spectrum, where wavelengths of 600-700 nm are more prominent. 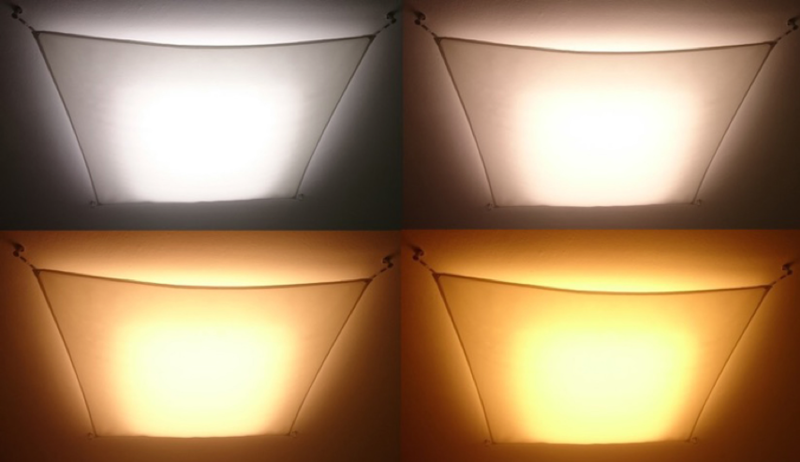 By adjusting the relative power supplied to each set of LEDs, the color of the light output can be “tuned” on demand to a precise color temperature, with a different spectral emphasis. ​Lighting equipment manufacturers are now starting to introduce a wider range of tunable white-lighting products. New designs can benefit from the more accurate control of a light’s color enabled by optical sensor control chips from ams, such as the AS7221 Smart Lighting Manager or AS7225 Smart Lighting Director. These use sophisticated semiconductor technology and closed-loop feedback to manage tolerances in alignment with the human eye’s remarkable sensitivity to color changes. The prospect for smart lighting is to combine this tuning capability with smart systems and algorithms to coordinate the lighting in people’s homes with their circadian rhythm. Research shows that smart lighting compatible with the circadian rhythm is associated with positive health and wellness outcomes, including noticeable effects on sleep, mood, and the feeling of vitality. Smart lighting can achieve circadian compatibility by altering the color content of a lighting fixture or a complete lighting scheme depending on the time of day. That would involve, say, more light from the cool-white (blue-white) LEDs during the main hours of daylight, but reducing the output from these LEDs toward the late afternoon and increasing the proportion of light supplied by the warm-white (yellow-white) LEDs. Integrating lighting controls into the user’s online life could extend the benefits of color control. Imagine a business traveler returning from a country in a different time zone. A smart-lighting cloud application could draw on the traveler’s online calendar and travel booking app to know the destination and thus calculate the effect of jet lag. The user’s location-aware phone would know when the traveler arrived at home and smart lighting could then automatically regulate the color of the lighting to more quickly bring the traveler’s circadian rhythm back from the distant time zone to the home time zone. Smart lighting also could be personalized to meet the requirements of different users. For instance, aging has a marked effect on human vision: In old age, the yellowing of the eye’s lens has the effect of filtering out blue wavelengths. This impairs visual acuity, making it harder to see objects and shapes at the blue end of the spectrum. Aging also has a photobiological effect. As was noted earlier, blue light reception stimulates the waking-time physiology. It’s common for elderly people to feel tired and to sleep during the daytime, and then suffer from disturbed sleep or insomnia at night, having slept during the day. Research suggests that this is, in part, a hormonal effect induced by the filtering of blue morning light before it reaches the retina. Younger people don’t suffer from this aging lens problem. Therefore, in a living space shared by young and old, smart lighting could adjust the color content depending on the person using the light, intensifying the cool-white content of the light for elderly users to compensate for the yellowing of the lens. As a result, it would help them achieve better regulation of their circadian cycle and see objects of all colors more sharply, while providing light output aligned to the spectrum of sunlight for younger users. At the user’s command, of course, smart lighting can be made to modify rather than support the body’s circadian response. The “night owl” student racing in the small hours to meet the next morning’s essay deadline might choose to set a smart-lighting scheme to “maximum activation”—all cool-white light and no warm-white—to keep more alert until their work is completed. Gesture control:Wave at the lights to turn them on or off, as well as adjust intensity or hue. Proximity detection:Turn off automatically when the space is empty, saving energy. Daylight harvesting:Measuring the light in the space from natural sources and adjusting the luminaire’s output to achieve the required illumination, both saving energy and creating a more balanced luminance.